settles your cat before a visit to the vet or after a fright or trauma. Just a few drops calms the animal fast. 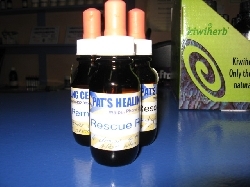 For acute anxiety you may only to need to give drops once or twice until animal calms. For a chronic problem, the cat can be dosed two or three times daily. Also a few drops can be added to the cat's drinking water.